AUNTY HENNYS: ALL IS REVEALED! I should have posted these pics last week. Jen has received my parcel in the Accessory Bag Swap so now I can show you the goods!! 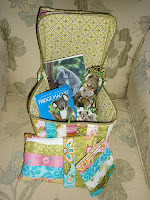 I made the Sewing Bag from a pattern by Joy Coey. The pattern is called HONEY BUN FUN. You can find the pattern at Joy's website HERE. The pin cushion and needle-case are just simple ones I made up myself and the covered notebook is from a Tutorial you can find HERE. 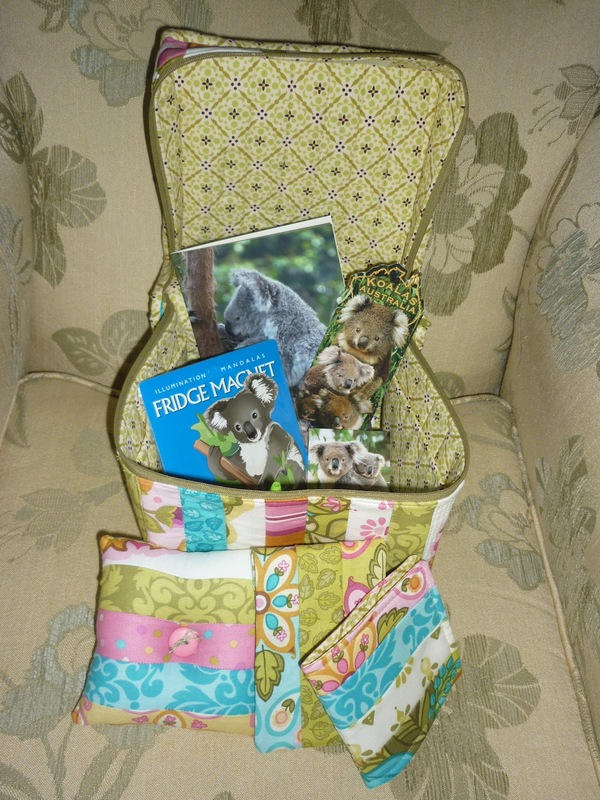 I included a few Aussie items too.... little notebook, fridge magnet and bookmark. ..... so, what else have I been up to?? not much. MH is away for a few weeks so I'm doing a little spring cleaning around the house. My son is now studying at Southbank Institute of Technology so no more school runs for me:-)) I am working on another baby quilt for my Niece Lauren (beautiful baby girl born Feb 11th - Maisy) - this one is called Lullaby in the Night Sky . I'm doing the blanket stitching on it right now and should have that finished in the next couple of days. I'll post a pic soon. My sister is arriving today for a short stay which will be nice. We usually hit the Thrift Shops straight away! My sis always finds something good! We will also have a visit with Mum. 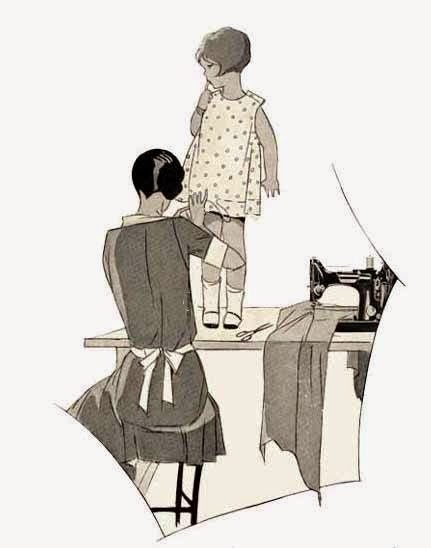 Your lullabye quilt is going to be darling. What a cute pattern! wow! That is an impressive bag! And such pretty colours! Enjoy your visit! Lucky swap partner! That picture of you two is so cute!! I love the picture of you and your sister and those wonderful outfits. Oh what a great time you and your sister will have! A very lucky swap partner you have there. Oh! and I love the pic of you and your sister, such gorgeous girls. I love the goodies you sent off. And the picture of you as a little girl is just precious! Don't you just love the old pictures? I could look at them forever!